At Holmes Fire and Safety Solutions of Berlin, Ohio, we understand the importance of protecting your business and your loved ones. We are dedicated to providing you with the most professional, reliable, quality product and service in the Holmes County, Ohio area. Whether you’re a business owner or a homeowner, we are glad to assist you on how to best cover your fire protection needs and meet the legal OSHA regulations, or special requirements by the Ohio state fire marshal or local authorities having jurisdiction. We are trained and licensed in Ohio to install and maintain portable and automatic fire extinguishers as well as fixed fire suppression systems for commercial kitchens and spray booths. Inspections are performed on a monthly, semi-annual, or annual basis. Call us to schedule an appointment and we will be glad to come out to your location and provide you with a free estimate and answer any questions you may have. Allen Yoder and his family own and operate Holmes Fire and Safety Solutions in Berlin, Ohio. Allen’s father Paul Yoder founded Yoder Extinguisher Service in 1973 upon the suggestion and encouragement from David Kandel, fellow businessman in the village of Berlin. Paul served the community through the Berlin Volunteer Fire Department, which later became East Holmes Fire & EMS, for more than 35 years. Six of those years he was the department chief. Allen, and two of his brothers, each served a tenure working with their father and learning the ropes of firefighting firsthand in the local community. Paul died in 2006 after a courageous battle with heart disease. 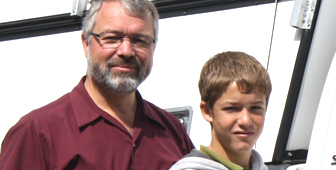 At the time of Paul’s passing, Allen and his family were serving as missionaries in Kenya. They served from May 1999 through July 2007. Though it was not entirely according to plan, but believing it was the right thing to do, they moved back to Berlin, Ohio and continued with the family business. A few years have passed and the company has experienced exciting developments and growth. Allen has developed a team and they have aggressively expanded the fire extinguisher service, thanks to tremendous community support. The newest developments have been to offer fire suppression systems for commercial kitchens, and industrial applications, such as factories and furniture manufacturing facilities. 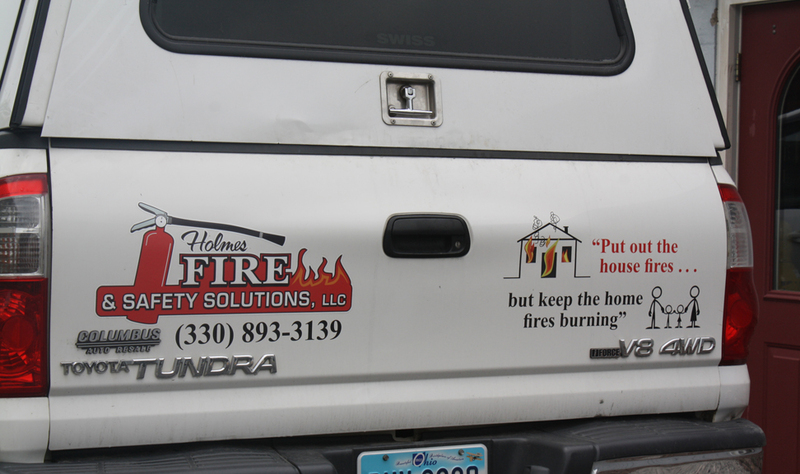 In January 2014, the new name: Holmes Fire and Safety Solutions became official. The new name better encompasses the market the company serves. Holmes Fire and Safety of Berlin, Ohio serves the larger Holmes County and surrounding area.